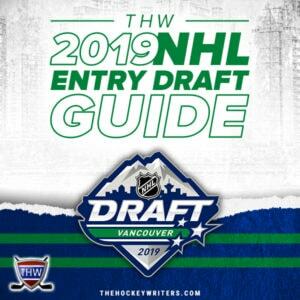 Playing on a line with a player like the highly-touted Jack Hughes is sure to raise any young prospects stock, but what sets Boldy apart is that when taken off Hughes’ line, he still produces. Last season, while Hughes was playing an age up, Boldy still recorded 29 goals and 76 points through 61 games with the U.S National U17 Team. Even this season, he hasn’t always played with Hughes and is over a point-per-game. Boldy already has the size of an NHL player, and has the resume to show that he can put up the points. With the national team and the USNTDP Juniors, he’s been over a point-per-game. In the U17 World Juniors in 2017-18, he collected nine points in just six games, helping Team USA to a gold medal. Anywhere you look, Boldy is described as “silky” and “smooth.” His ability with the puck is one of the best in the draft, and mixed with his vision on the ice, he’s always a threat to punish defences. For this, he received an “A” rating on NHL Central Scouting’s preliminary players to watch list. One of his biggest assets, though, is the adaptability to shift his game for the good of the team. Whether that means switching wings, or even from a sniper to a playmaker, Boldy is able to sense what the team needs from him and excel in that role. That’s something some NHL players can’t even do well. Boldy has committed to Boston College for the 2019-20 season. Boldy has seen his stock rise this season, and rightfully so. He’s a scorer, a playmaker and has the size already. He’s projected to go in the top-10 by most, and he shouldn’t fall from that. He should be the first left winger taken in the 2019 NHL Entry Draft. I have him going eighth. There’s no question that Boldy can be a top-six player in the NHL. It might take him a year or two, but the USNTDP has been pumping out elite talent in recent years and Boldy is going to be a part of that. Especially as the top left winger in the draft, we should be seeing him in an NHL uniform very soon. 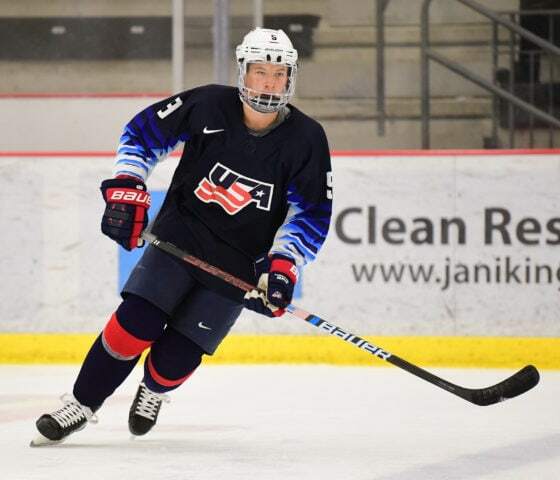 In 2017-18, Boldy played in the U17 World Hockey Championship, helping Team USA to a gold medal. He was also named most valuable player at USA Hockey’s All-American Prospect Game in September.